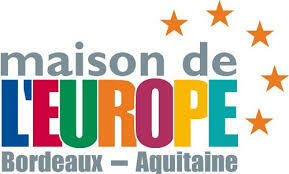 Find out the upcoming events organised at Maison de l’Europe. Read more about the Europe Fair. The project of the Young Ambassadors has born from an innovative idea formerly foreseen to create a positive spirit and accompany the European Football championship which took place in France in 2016. The services of the State, via the prefecture of the Gironde, have requested our association to exercise activities aimed at public reflection in order to carry out an ambitious intercultural project of mobility and promotion of the European values throughout the territory of Bordeaux and Gironde.